No matter if you are first time drum builder or an experienced drum builder, every custom drum builder will benefit from this drum building suite. Click here for more information on the Drum Building Suite. Paul Shell is a very brittle shell that can be cut into thin sheets that can then be used to cover a drum set. It’s very difficult to work with, but the payoff or your patience is worth it. Click here to view prices for Paua Shell Veneer on Amazon. A good router is one of the key ingredients to building the custom drum set of your dreams. I admit, this isn’t entirely necessary. You can easily build an entire drum set with just a screwdriver, but if you want to take your shop to the next level, you’ll need this. Click here to see the drill press that I recommend. I sold my shop vac a while back and replaced it with a broom…and what a mistake that was. Not only is having a powerful shop great for sucking up saw dust in the shop, it’s also great to have around for odd jobs around the house…like vacuuming out your car! Steam bent drum shells sound amazing. I would be lying if I told you exactly why…but there is a different between steam bent (think Craviotto) and ply (think Keller) drum shells. Perhaps the steam bent shells have something to do with the $10,000 price tag on a Craviotto Drum set? 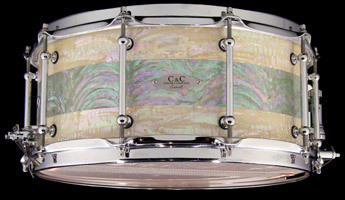 Click here to view the steam bent drum shells available from Ego Drum Supply. 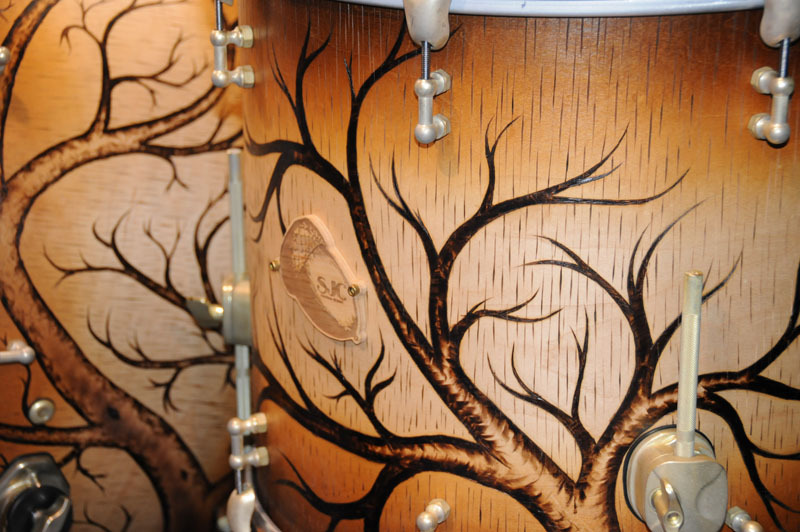 Only for the serious custom drum builders. 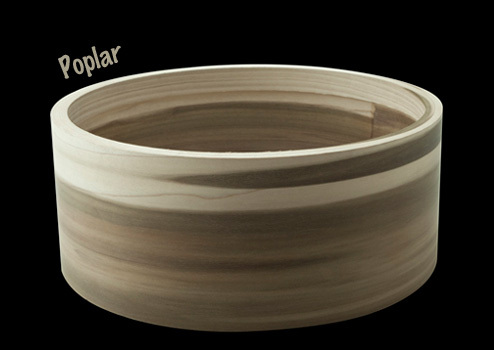 If you plan on morphing your drum building hobby into a business, you may want to get something like this. Although they can be a pain to clean, they sure do make painting your custom drums easy. The Earlex HV5500 Spray Station is a great spray rig. This is a must have for drum builders and drummers. Change drum heads faster than you ever could with a standard drum key. My Evans Drill Bit Key does the trick. Bring out the inner artist in you. Create stunning 3-D effects and designs using a wood burning pen. Learning the art of wood burning takes lots of patience. I would suggest buying a book about wood burning if you get one of these kits. Stay current in the drum world by subscribing to Modern Drummer or !Drum Magazine. Get creative ideas from a woodworking magazine like Popular Woodworking. To play the music from all the bands that you are making drums for! I recently got one of these, and it has changed my life. Since it’s portable I take it everywhere, so I have great sounding music in the shop, at my house, and in the office! I hope that your Christmas this year is full of family, food and fun! I’ll leave you with my drum cover of “Joy To The World” that I shot on my GoPro Hero2! Did I miss anything? What would you add to this list? Leave a comment below! You forgot this – every drummer needs a mobile drum set!